5 HOW DO WE TREAT IT? 6 HOW WELL DO THE PATIENTS DO? 7 WAS THERE A WAY TO PREVENT IT? 8 WHAT ELSE ARE WE WORRIED ABOUT? Cervical cancer is a type of gynecologic malignancy that involves the cervix. There are various tumor types that include both squamous cell carcinoma (most common) and adenocarcinoma. A large number of cervical cancer is caused by human papilloma virus (HPV) infection. Cervical cancer can cause pain, vaginal bleeding, and in many cases can be life threatening. Post-coital bleeding is a common presentation for cervical cancer, however many types of non-menstrual vaginal bleeding can be caused by cervical cancer. 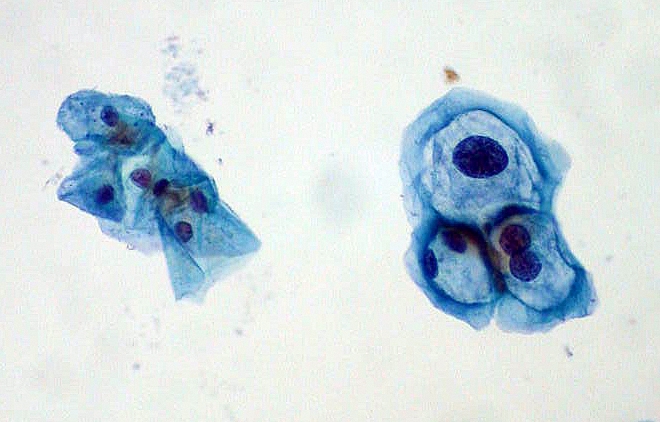 Pap smear (can be routine, cervical cancer is usually asymptomatic) can reveal the presence of Koilocytes. These are dysplastic squamous cervical cells with a “raisinoid” nuclei and hyperchromasia. These cells are HPV infected. Pelvic exam can reveal an inflamed/friable cervix that may bleed on contact. Palpable/visual leisions can be biopsied directly. Cone biopsy can be conducted if early stage disease is suspected (more extensive, a cone shaped wedge is removed from the cervix). **Treatment will depend on clinch staging of the disease however initial treatment is usually either surgery or radiation. HPV vaccinations: HPV infection is a preventible cause of cervical cancer. HPV vaccinations can prevent infection from certain stains of the virus. Hydronephrosis can be caused by cervical cancer leading to urinary tract obstruction. Cervical cancer is most common gynecological tumor worldwide (poor worldwide HPV screening/vaccination practices), but least common gynecological tumor in the U.S. (good HPV screening/vaccinations). 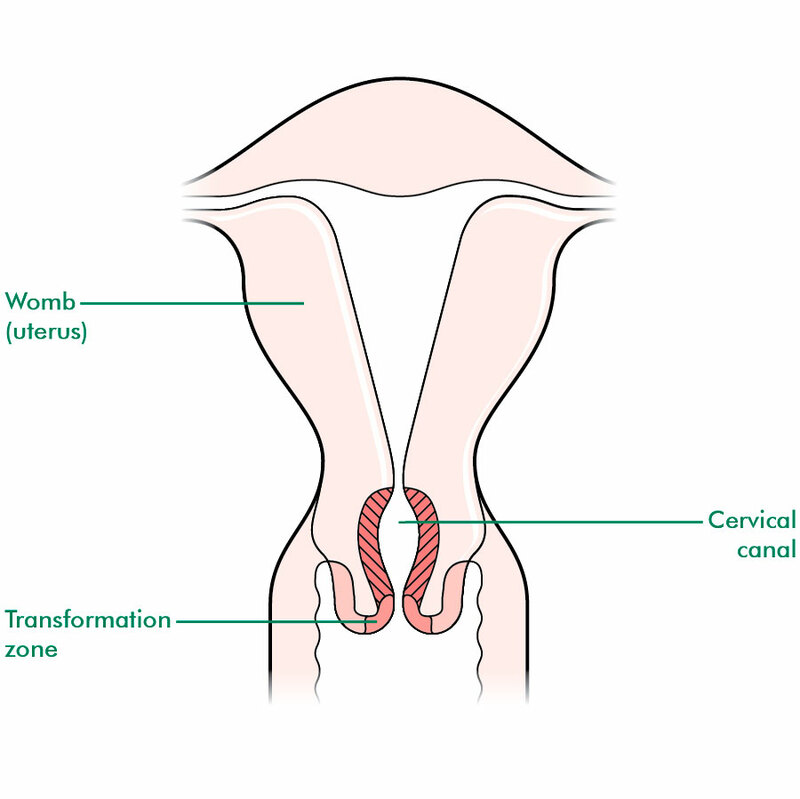 The transformation zone/squamocolumnar junction (area between outside and inside of the cervix) is the most common area for cervical cancer. Cervical intraepithelial neoplasia (CIN) will be representative of dysplastic cell growth, and is a precursor to cervical cancer.